Researchers have identified thousands of genes which are essential for the survival of cancer. The most promising 600 genes have been earmarked as possible drug targets for novel cancer treatments. 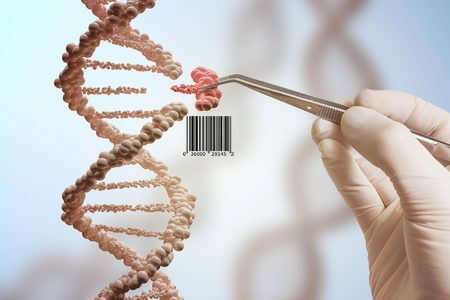 Researchers at Open Targets and the Wellcome Sanger Institute used the CRISPR-Cas9 gene editing tool to disrupt every gene in more than 300 cancer models of 30 different cancer types. More than 18,000 genes were disrupted, and the effects of the disruption were studied. The two teams of researchers were able to identify thousands of genes which are essential for the survival of cancer. Those genes were then ranked to produce a list of the 600 most promising genes which could serve as possible drug targets. One of the most promising new targets is a gene that codes for the enzyme Werner syndrome RecQ helicase, which is critical for the survival of several different cancer types that have a faulty DNA repair pathway known as microsatellite instability (MSI). MSI occurs in 28% of stomach cancers. 20% of endometrial cancers, 15% of colon cancers, and 12% of ovarian cancers. The discovery could lead to the development of drugs that target WSR. Pharma firm Roche has already developed a diagnostic test that can detect biomarkers for cancers with MSI. The teams have used their research to create a Cancer Dependency Map, which contains details of the genes that are essential for the survival of cancers. The Cancer Dependency Map could be used to identify possible drug targets which could lead to a range of new cancer treatments for use in personalized medicine. Developing new treatments for cancer is extremely costly. Each new treatment costs around $1-$2 billion to develop, but 90% of those treatments fail during development. The more promising the drug target is at the beginning of development, the more likely a treatment will succeed in the later stages of clinical trials. “For the first time, in a data-driven way, we provide guidance at a genome-scale on which new therapeutic targets should be put forward for the development of new anti-cancer drugs,” said Dr. Francesco Lorio, Co-first author from the Wellcome Sanger Institute and Open Targets. By identifying the most promising drug targets, the cost of developing cancer drugs can be greatly reduced, which means the cost of providing those treatments to patients can be slashed. Further, if drugs can be developed to knock out genes which are essential for the survival of cancer, patients could be prevented from having to endure chemotherapy or radiotherapy, both of which have debilitating side effects. The next step is to thoroughly analyze the 600 genes to determine whether they are suitable candidates for drug therapy. The research is detailed in the papers Prioritization of cancer therapeutic targets using CRISPR–Cas9 screens – DOI: 10.1038/s41586-019-1103-9 – and WRN helicase is a synthetic lethal target in microsatellite unstable cancers – DOI: 10.1038/s41586-019-1102-x – both of which were recently published in Nature.